Tomatoes are very prolific producers when given the right conditions. 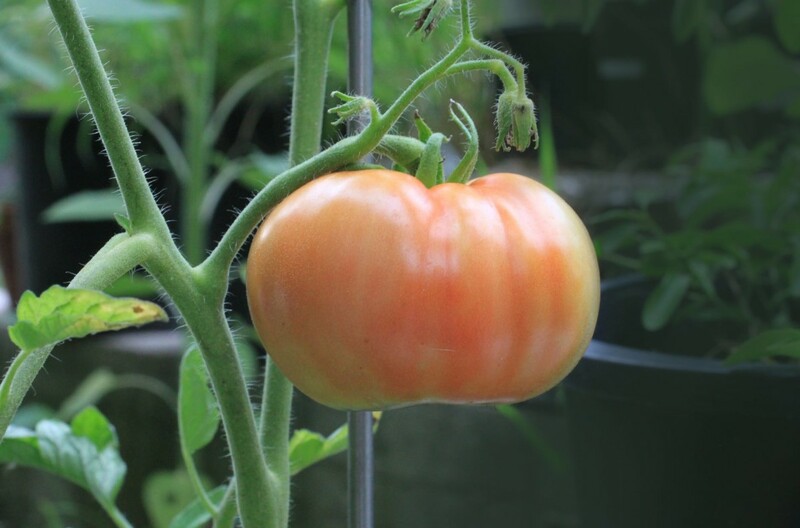 It doesn't matter whether you choose to grow cherry, grape, plum, or gigantic beefsteak tomatoes, they all feed and drink heavy, and require full sun. 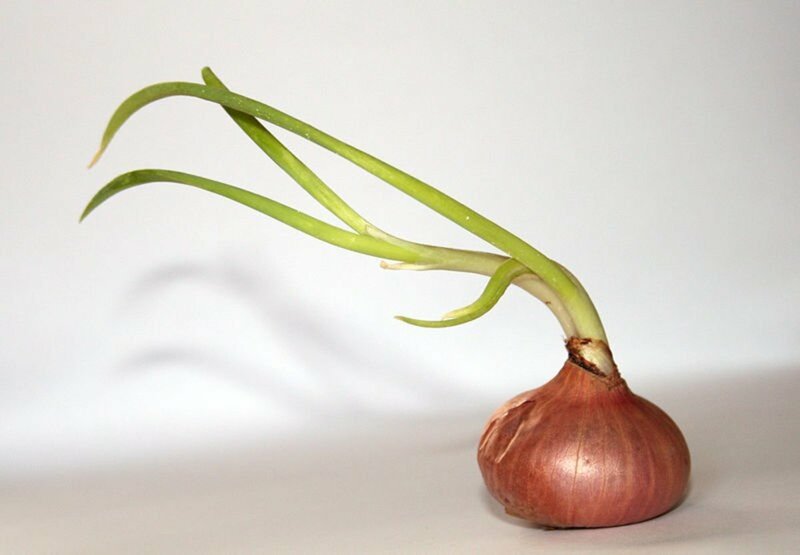 They will also need some form of support because the fruits will get so heavy on the plant that they will topple the container, or even snap the stem. 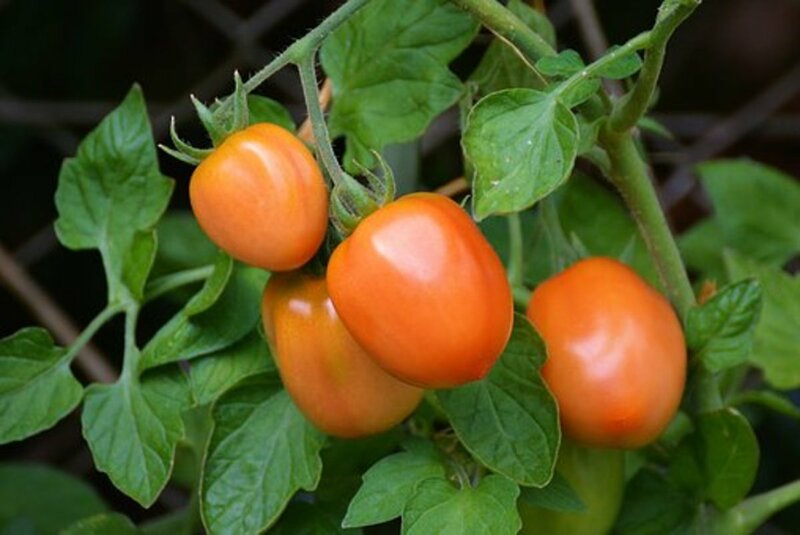 By applying what I am about to share with you, you are going to have healthy, productive tomato plants that are going to put a lot of fruits in your pantry or market stall. 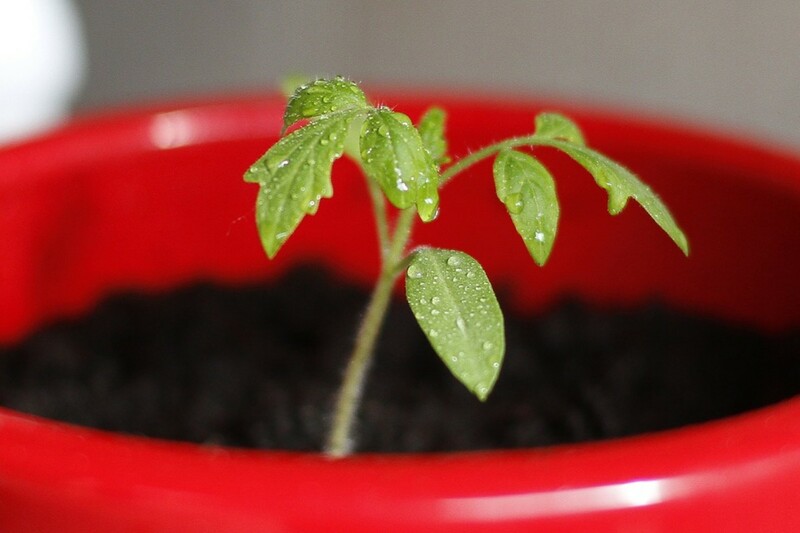 The best time to plant your tomato seeds is six to eight weeks before you intend to plant them outside. If you live in a colder climate, four to six weeks before your last frost date. This should make it to where all threat of frost is gone before it's time to get them into their containers. In order to start the seeds, fill your trays, modules, or cups with moistened seed starting mix and pack it in firmly. Plant the seeds in every cell or cup by poking two holes that are a quarter of an inch deep at opposing sides of the container. Then drop a seed in each hole and cover them over with potting mix. Finally, Water them until you see water coming out of the bottoms of the containers. Do not fertilize your seedlings until they start producing true leaves. Then when they do, give them a dose of liquid fertilizer that has been diluted to about half strength. Feed them like this every two weeks until it's time to take them outside, and water them enough to keep the soil moist in between feedings. Day 1 - Sit your plants outside in full shade for an hour. Days 3 through 5 - Sit your plants outside in full shade for 5 hours. Then move them into the sun for about a half of an hour each day. Days 6 and 7 - Sit your plants outside in full sun for three or four hours then let them rest in full shade for the rest of the day on both days. 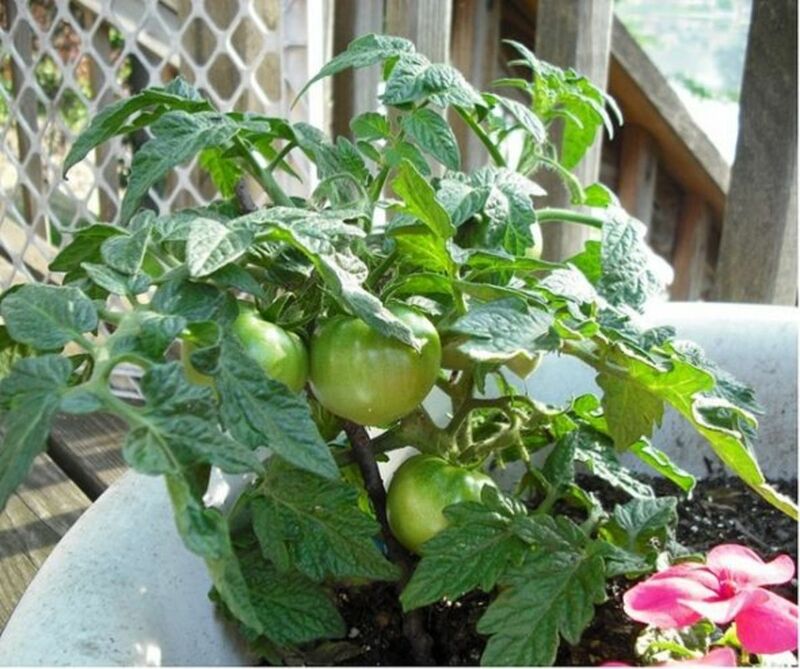 Tomato plants will do best when planted one per five gallon or larger container. This container needs to have plenty of drainage holes, and be full of a potting soil mix that is full of composted organic materials. If you have a favorite bagged soil mix then use it, but if not, the mix that I use on all of my container plants is supplied below. Fill your containers within about three inches of the top with your potting mix, and dig a hole in the center that is deep enough to plant your tomato plant. It should be deep enough to lower the plant enough to where the lowest set of leaves are just above the soil level. 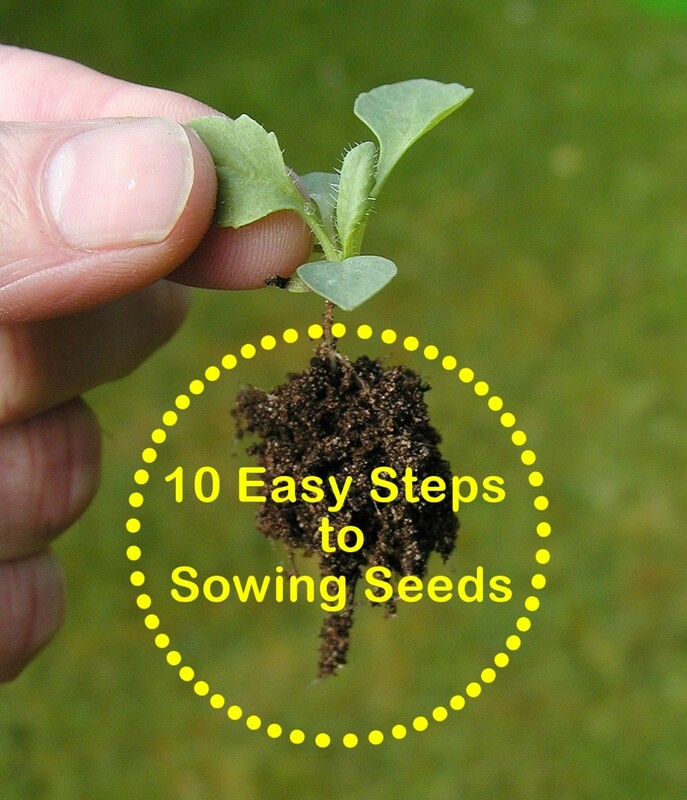 Sit the plant down in the hole and fill the dirt in around it, tamping it lightly as you go. Water it until you see water coming out of the bottom of the container. Run the leaves over a time or 2 with the lawn mower if they are still whole. Spread a tarp out on the ground, or grab your wheelbarrow. Dump 1 bag of the soil, and 1 bag of composted manure, and half of your leaves in a pile. Add all of the banana peels, egg shells, Epsom salts, and fertilizer. Add the rest of the soil, manure, and leaves on top and start turning the pile in on itself with a garden fork or shovel. After all of the ingredients start to come together, water the pile until it's moist, but not dripping wet. Give the pile a few more turns just to make sure all of the water is absorbed and there aren't any dry spots. If you are going to use cages to support your tomatoes, they should be installed at the time of planting to minimize root disturbance. If you are going to use an option for support that is permanent though, like a railing. or pole in the ground, make sure your tomato won't be shaded by your structure. 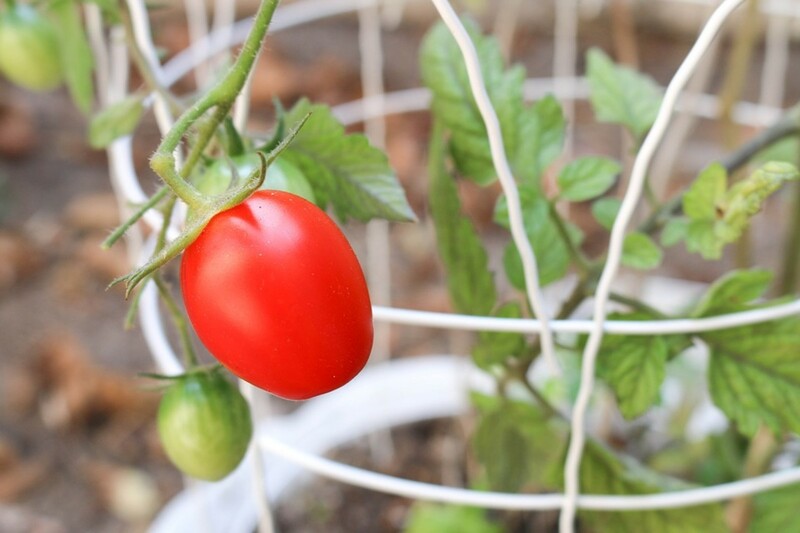 And start training your tomato to follow the structure as soon as it can reach it. 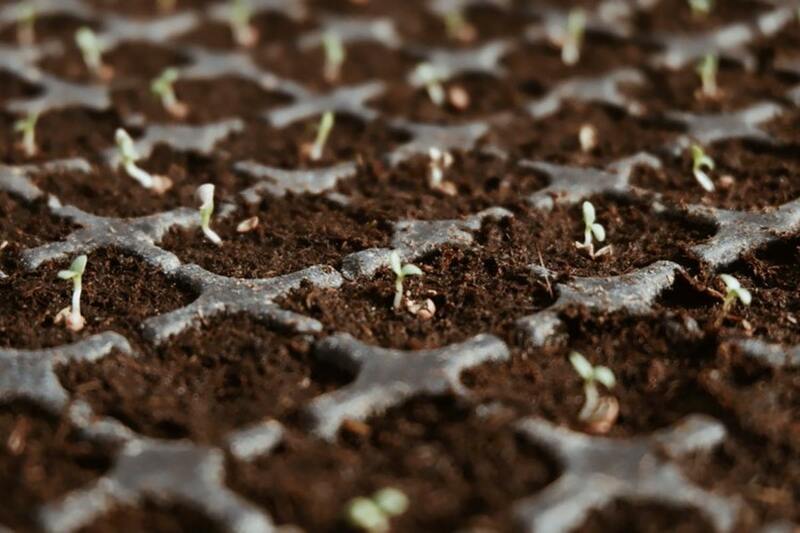 About two weeks after your plants get transplanted into their permanent homes, give them their first full strength dose of liquid fertilizer, and follow a weekly or bi-weekly fertilizing schedule from here on out. Don't overdo it though. 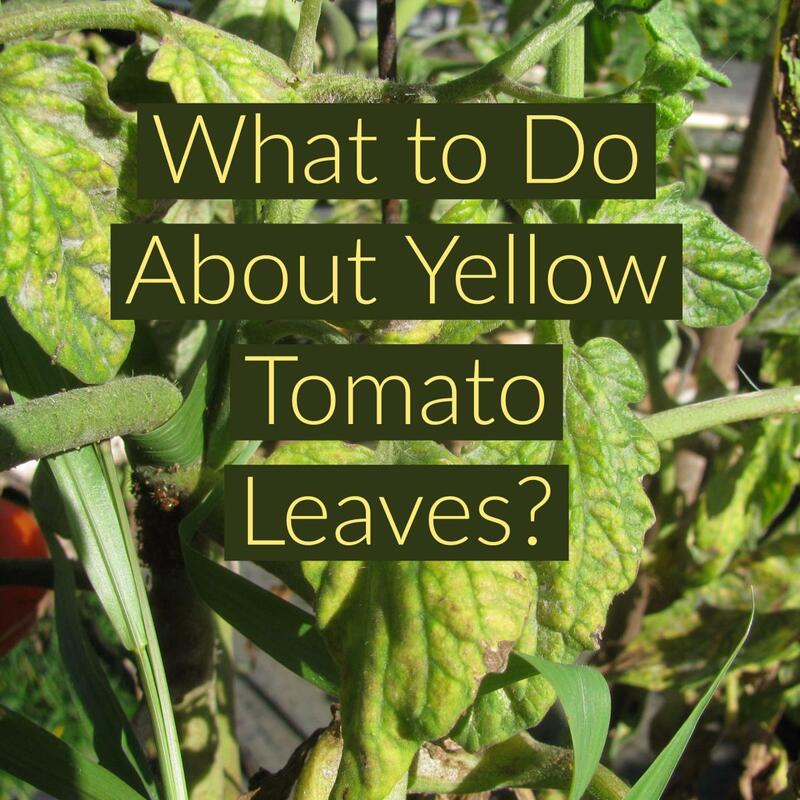 Even though they are much more mature plants now, you can still harm them with too much. 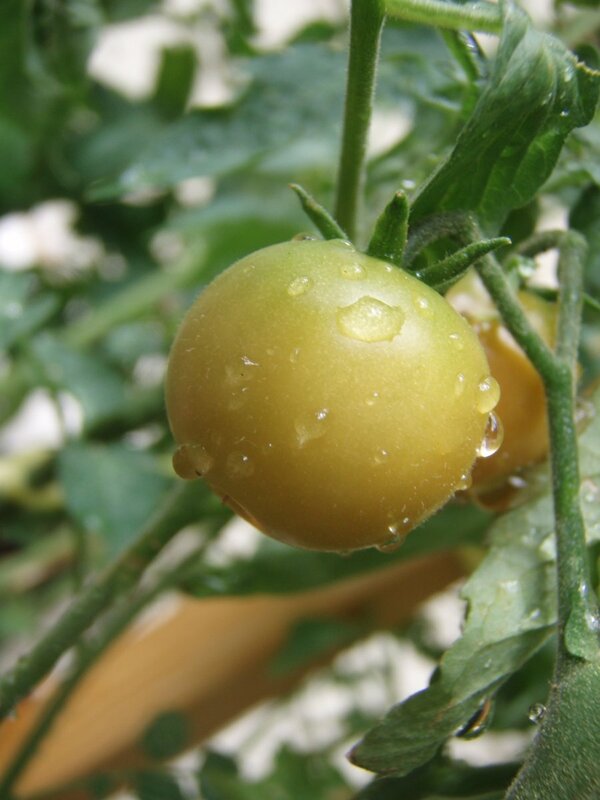 Keep your tomatoes well watered, but not soggy, and as soon as the leaves that we planted level with the soil are high enough off of the soil, mulch underneath them. Use wood chips, sawdust, leaves, dried grass, hay, or weed free straw to fill the last three inches of the pot that we left earlier. This will help your plants to retain moisture and minerals that they need and keep any stray weed seeds from growing in your pot. 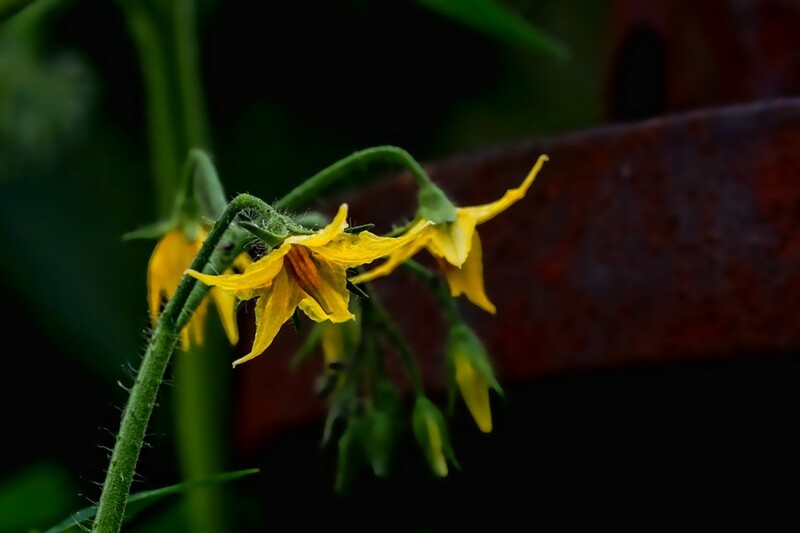 Tomato flowers contain both sets of reproductive organs within a single flower. This makes boosting your production super easy, but it can get a little time consuming if you have a lot of flowers mature at once. Hand pollinating can only be done with flowers that have opened fully like the one in the foreground in the picture above. All you have to do is gently place an electric toothbrush on the stem at the base of the cluster of flowers and turn it on. Hold it there carefully for about 15 seconds, then move on to the next cluster of flowers. This shakes the pollen loose, and down to where it needs to be for fertilization to take place. If you don't do anything else from this whole guide, give this a try this year. I promise you'll add an electric toothbrush into your list of favorite gardening tools that you have to have by next season. I'm not even going to pretend like I know what I'm talking about here. 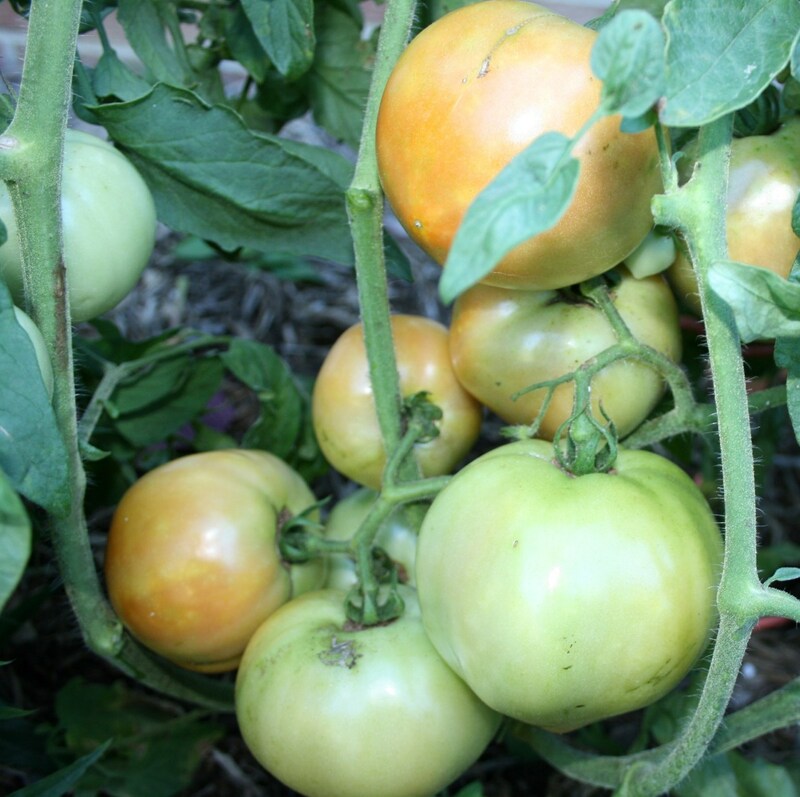 Everybody likes their tomatoes at different stages of ripeness, firmness, tartness, and sweetness. Whenever you see perfect tomatoes on the vines, you cut, scissor, or gently pull and twist them off of the vine. Then sit back and enjoy them because after all of this, you earned them.